Binayati has a solution for every problem encountered in buildings. It is our belief that property management is a two-way conversation. Binayati provides a value-added services, to the property managers, board members and the condo residents. This is by far the best online property management solution with features including communication, announcements, record-keeping, financial statements and much more that makes it easier to manage complex processes. One of the biggest benefits is that it reduces human errors and keeps record of every activity done by the administrators, therefore it enhances the user experience by saving time, cost and unnecessary worry. Our goal is to provide property owners, residents, property manager and service providers with the most advanced and dedicated online and mobile solution in the property management industry. Binayati affords a complete transparency with the tenants and enforces the day to day operations. Using Binayati saves time for the treasurer and the ease of saving and finding documents as well as any information related to the residence, the tenants, the committee, and also to the fund. Realtime reports allowing administrators to identify unpaid invoices. With one click the administrator can send a push notification, an email and a sms to notify the end user – tenant, owner – that he has unpaid bills due and should be paid as soon as possible. The treasurer can circulate bills and receipts easily, without wasting time, removing paper work, thanks to the Communication module: SMS, email or push notification. No more reports preparations, with one click any report is generated! Transparency is a major key to succeed a happy building! Tenants and Owners can at any time access their account of Binayati, to examine the status of their balance, the fund, the expenses, the official documents and all the reports. We also provide ability to limit access roles of each user. A tailor made solution just the way you work! Our Building management solution offers an accounting module conceived for condominium property managers. Automatic Calculation of the balance of residents, owners and fund. Generation of financial reports for party and also Reports showing expenses vs income! All the modules provided in Binayati offer a unique level of suitability to all residents, board managers and owners, and also service providers. Managing Residents, Expenses, Incomes, Invoices, Maintenance contracts, Committee, Projects and Communication … can all now be done easily! It feels like home when you are on your dashboard! quick overview of your balance, expenses not yet paid, invoices not yet paid. Invoices are money due to the fund! Payments or Income is money that goes into the fund. Expenses are money that is paid or should be paid from the fund balance. Storage of legal documents, drawings, receipts, invoices, images … and any relevant document related to the residence. Communication is a key to success, it’s available in every module. it connects all parties and supply more trust and continuity. Now it’s easy to manage properties, buildings, condo! 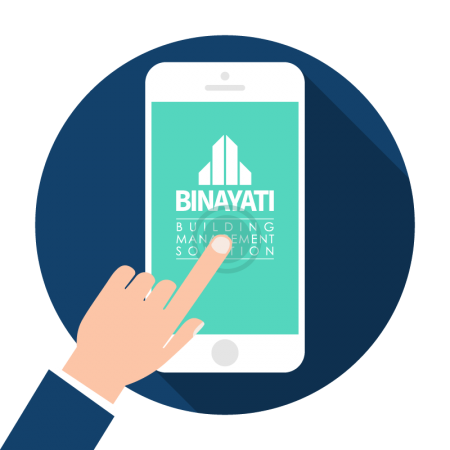 Binayati is the only solution for condominium property managers and self managed property owners who aim to streamline and digitize their operations seeking for greater productivity, cost savings and transparency. With Binayati, you will BECOME TRANSPARENT and you will WIN TRUST!